The relentless flames of the North Bay wildfires spared nothing in Raul DeLeon's home. "It's very, very difficult," DeLeon said, standing in the empty lot that was once his dream home. Everything is gone. But now, to get fully reimbursed by his homeowner's policy, State Farm is requiring a list of his home's contents. "Every single item," DeLeon said. "Every fork. Every knife. Every spoon." DeLeon could settle for an up-front payout, but it would be reduced 25 percent from the maximum allowable amount. He refuses to be low-balled. "It's obvious we lost 100 percent of everything," DeLeon said. "They should be paying 100 percent." DeLeon is not alone. Early one Saturday in March, NBC Bay Area arranged to informally meet with a few fire victims inside a Santa Rosa church. One hundred and thirty people showed up. Like DeLeon, all are State Farm insurance customers. 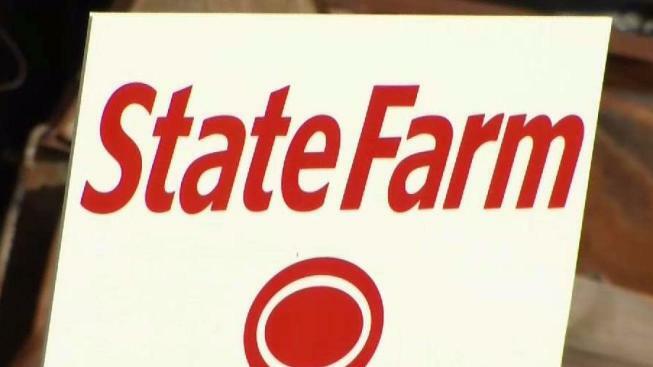 Homeowners complained State Farm is dragging its feet, and they feel shortchanged. "I paid my premiums on 100 percent," Bill Vosburg told us at the time. "State Farm ought to pay me 100 percent of my content, without a full inventory." Many homeowners told us they feel helpless. But not DeLeon. He found a way to challenge State Farm, by hiring what the insurance industry calls a public adjuster. "Up until that time, I had no idea what a public adjuster was," DeLeon said. Greenspan Adjusters International is representing DeLeon. Its CEO, Gordon Scott, has 44 years of experience, with countless disasters, including the North Bay fires, under his belt. "Every major claim needs a public adjuster," Scott said. "It's not too late for them to get help." Scott says public adjusters decipher insurance jargon, counter unsatisfactory offers and convince insurance companies to pay as close to 100 percent as possible. "If you don't have your own representative, you're at a disadvantage," Scott said. "If you don't do it every day, just like the adjuster from the insurance company does, then you're at a disadvantage in dealing with that adjuster." Scott says his industry exists solely because insurance companies bank on over-promising in ads and under-delivering after disasters. "Candidly, I call the whole process 'The Big Lie,'" Scott said. Public adjusters are not a public service. They are a business. Scott says hiring one will cost you about 10 percent of the claim, but he contends the negotiations usually increase the payout far more than 10 percent. "Sometimes, we make hundreds of percent differences; thousands of percent different from what the insurance companies offer," Scott said. DeLeon is relieved an expert is helping him fight State Farm, but he remains frustrated. "I definitely think they're worth the money," DeLeon said. "We're going to keep battling." DeLeon wants the state of California to address the wide gap between touchy-feely insurance advertising and iron-fisted claims processes. He fears inaction now, after fires devastated so many, will send the wrong message to insurance companies about their nit-pickiness. "They'll continue to do that, and try to wear down the consumer until the consumer just gives up," DeLeon said. "Absolutely, that should change." When considering whether to hire a public adjuster, homeowners should carefully review their options. Multiple adjusters might contact you after a disaster. Make sure there aren't any imposters: check their state license, demand references, and ask questions. You might have to sign a contract; only do that after you read and fully understand it. There's a lot of money at stake. "There has been no change in our position. State Farm is committed to helping our customers recover from the tragic wildfires. For total losses related to these wildfires, State Farm has agreed to and is following the Department of Insurance expedited claims process, including increasing the amount of contents coverage paid up front (75 percent) without requiring an inventory. The insurance contract provides coverage for items a customer has actually lost, up to the policy limits."